One of the companies we use, MFS Investments, has a collection of informative newsflyers that we thought our clients and friends might appreciate. 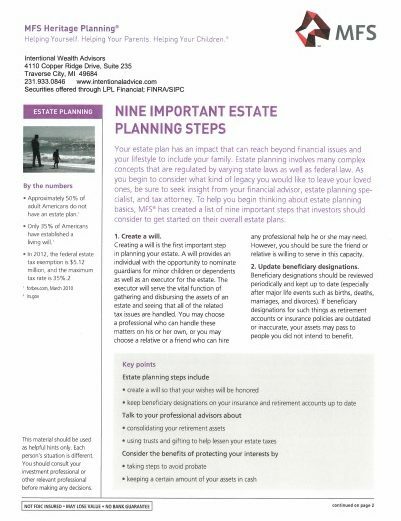 These “ infosheets” are well written, easy to read, and cover a variety of personal financial issues. Please contact us if you would like to receive a copy of one or more of these infosheets or if you would like other information regarding the financial issues that most concern you. These infosheets are in PDF format.